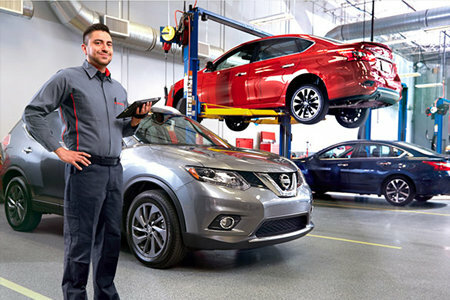 The following is offered to you in an effort to clearly state the principles and ideals that govern all of us at Boardman Nissan in our relationships with you, our customer. We feel this clarification is necessary, as we often find ourselves dissatisfied with the way we are treated as individuals, and as a company. The lack of professionalism, consistent poor quality, disinterest, discourtesy, and bad service have become all too common, and too commonly accepted in our society. We cannot, and make no attempt to, tell others how to run their business. We can only lead by example; managing the affairs of Boardman Nissan in a manner consistent with the way we want to be treated. Accordingly, enclosed below are the items and rights we believe to be the inalienable rights of our customers. We expect our suppliers, vendors, and subcontractors to be held to account, just as if employed by Boardman Nissan. We also expect to be held individually accountable if we fail to act in a fashion consistent with, or deny, these rights to any customer. As our customer, you are entitled to be treated with friendliness, honesty, courtesy, and respect. As our customer, you are entitled to full value for your money. When you purchase our services, you should do so knowing it was a good buy at a fair price and represents value for the dollar. You are entitled to be proud of your new vehicle. You should know that your complete satisfaction was our goal from the time we first met, and continues to be today. As our client, you are entitled to be treated exactly as we want to be treated when we are the client. You are entitled to prompt, knowledgeable answers to your questions and to speak with the appropriate contact, so the question can be resolved immediately and in the most mutually satisfactory manner possible. We want to be accessible to you and value your concerns, comments, and questions. Please feel free to contact any of our managers at any time with any suggestions, questions, comments, or issues. Thank you! We really do appreciate your business.